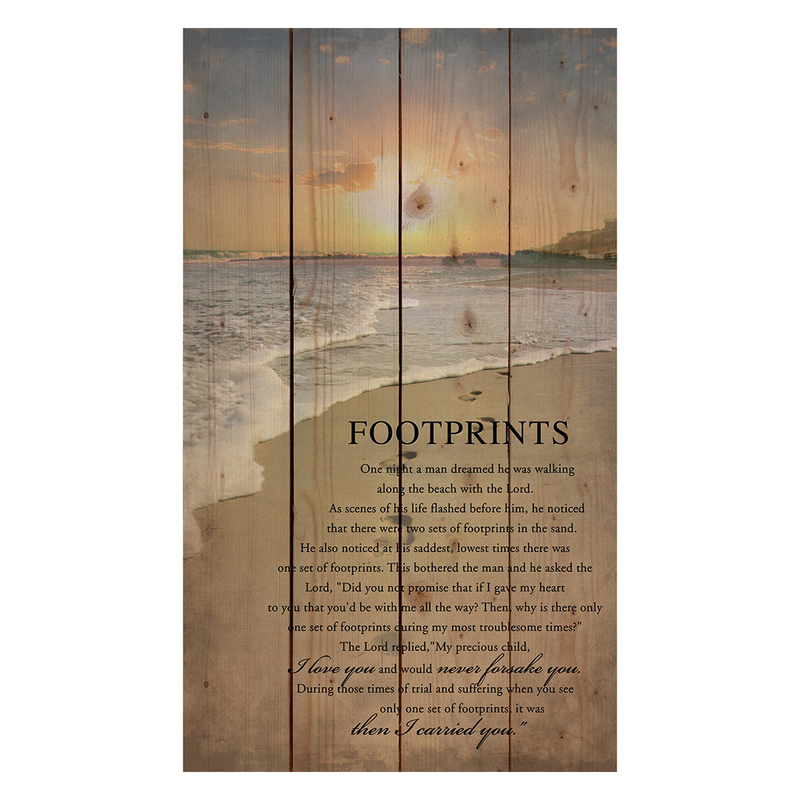 The Footprints Pallet Sign brings seaside style to your living room with the familiar "Footprints" verse on kiln-dried pine boards. This beach wall art ships from the manufacturer. Allow 1 to 2 weeks. Cannot express ship. For more options, we ask you to take a moment to check out our thorough range of beach wall art at Bella Coastal Decor today.